This CNC machined alloy sensor allows you to fit a 1/8" threaded water temperature sensor into any radiator system quickly and easily. Simply cut your exisiting hose in the appropriate place and insert the alloy water sensor with the clips provided. the solution to neatly and safely install your gauge senders/sensor units onto the relevant parts of your engine without having to drill,tap and attach unslightly holes and adapters. Producing sensor adapters for both oil and water, Alfit billet aluminium machine finished adapters are high quality and super relaible. Oil Pressure and Temperature senders are fitted with ease. The "sandwich" plate installs between your engine block and oil filter....the plate itself has outputs, drilled to 1/8npt, which will allow the safe installation of the relevant oil senders without needing to modify any of the oem parts on the engine meaning that it is completely reversible. Water Temperature senders are also fitted with ease....locate the top water hose of your vehicle, cut and fit the Alfit water adapter. This then allows 1 1/8npt fitting to screw in the water temperature sender....no need to drill and tap the head. 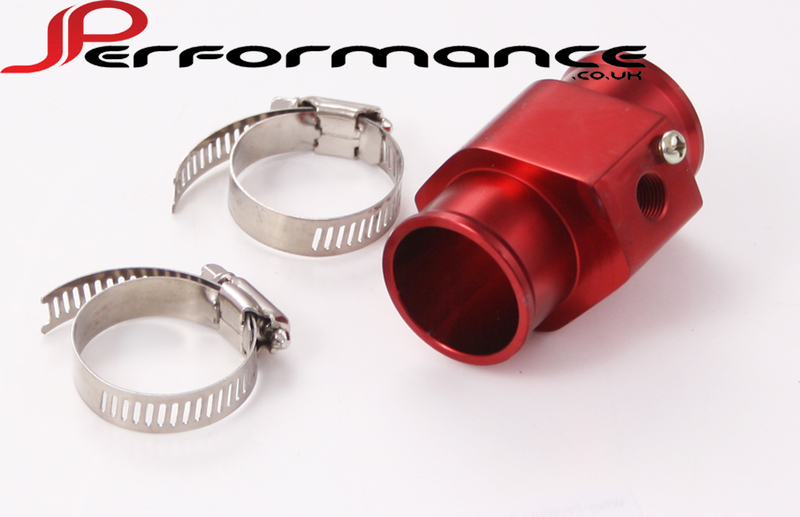 Suitable for radiator, coolant & turbo charger systems.